There are homes that are fixer-uppers, or handyman’s specials, and then there is… this. A Vancouver-area home that was destroyed in a devastating fire has landed on the market, for just over a million dollars. 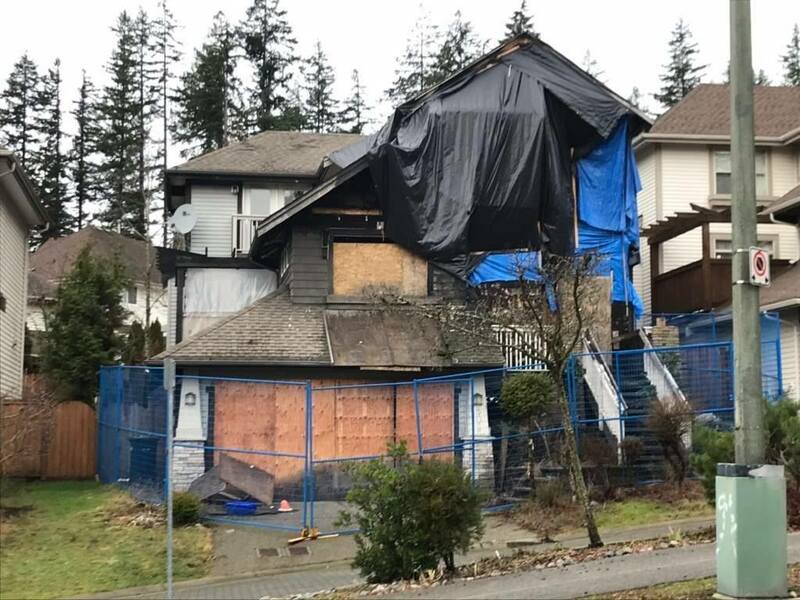 The house at 509 Forest Park Way is a shell of its former self after a fire ripped through the suburban Port Moody property in March 2017. No one was injured in the blaze, although two people and a small dog were reportedly rescued. 509 Forest Park Way seen in a Google Maps image captured in 2016. 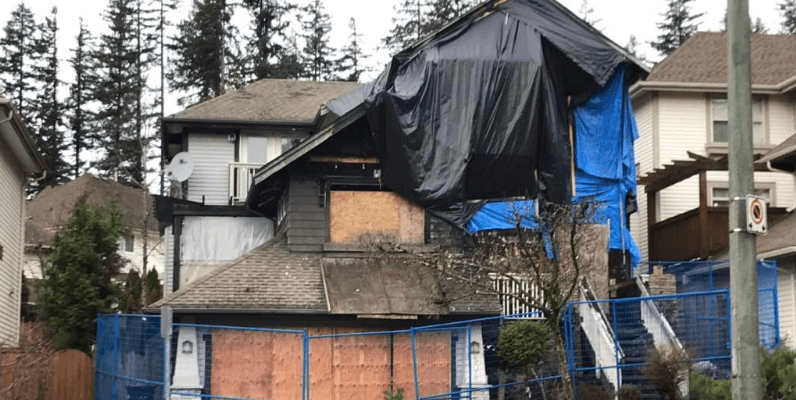 An investigation by Port Moody Fire Rescue and the city’s police force deemed that the structure fire was indeed arson, and the file was handed over to major crimes investigators. Flash forward to today, and the home is now listed for sale. A real estate listing for the three-bedroom, 2,963-sq-ft home calls it the “perfect chance to build a new home in an established neighbourhood,” touting the lot size, sunny exposure, and existing hookups to city water and utilities. The listing has a single exterior shot of the home, showing the extensive damage. Windows and the garage remain boarded up, and the majority of the roof is under black tarps. The home is cordoned off by blue construction fencing. The listing price is in line with the latest assessment for the property. 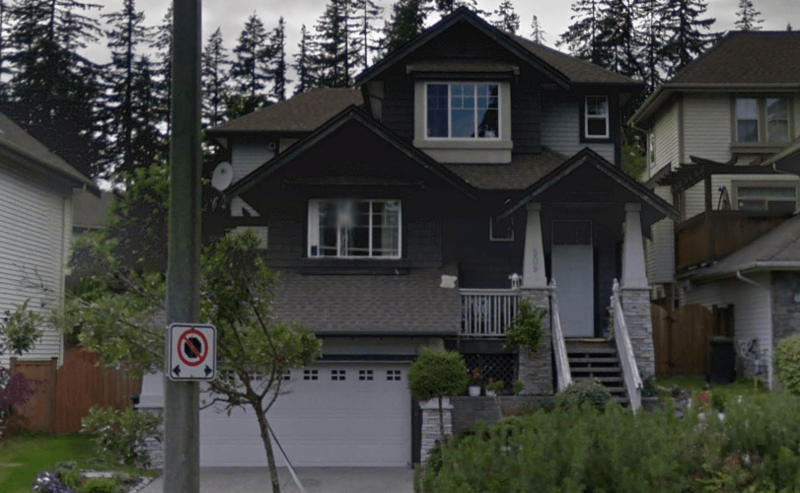 The residence at 509 Forest Park Way was valued at $1.066 million in 2018, with $1.026 million of that value falling to the land. BC Assessment says the property value has risen 5% in the past year, despite the damage to the home.